ToyheadAuto.com: Toyota Dash Caps. The Fastest and most economical way to fix a cracked and or damaged dashboard/crash pad. 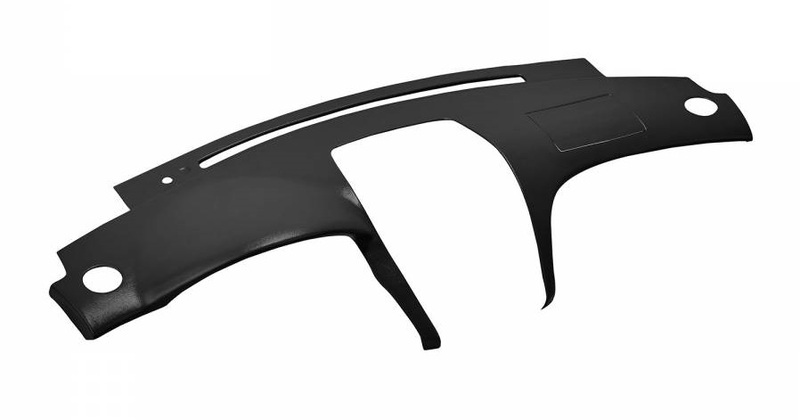 Specializing in Parts, Products and Accessories for Toyotas. Kits for making that old cracked and faded dash pad look new again !!! Look at this example of how they look when installed! To read how dash caps install click here. Please Note: Shipping prices in our shopping cart checkout are for the Continental U.S.A. Only. Sorry we do not make dash cap kits for Right Hand Drive Cars. Please specify color in the message box when in check out. With climate sensor. Without climate sensor. New !!! Dash Pad (O.E.M.) Original for Corolla, Levin, coupe and wagon. Will fit left or right hand drive cars. This is Not a Dash Cap. This is the Original OEM Toyota Dash Pad!!! 1975-1979 Corolla TE 31, 37, 38. Please Note: Picture shown is with the speaker hole in the center. Large hole to the right is for the safety air bag. If the dash cap were to cover it, it would compromise the safety of the vehicle. There is no option without it. Specify with or without speaker hole. 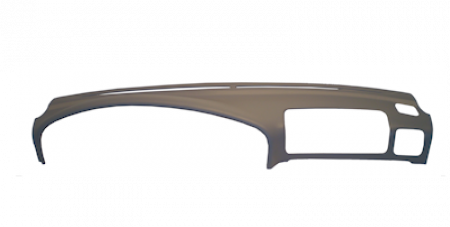 This is a high quality molded plastic dash cover made in the USA. Fits like a second skin on the original dash. Installs in minutes! About Dash Caps and how they install. This is not a dash pad but a replacement custom molded vinyl cover that will make any cracked dash pad look like new again. Dash Caps are by far the easiest way to cover-up cracked, faded and damaged dashboard pads. Don't be fooled by cheap imitations I have searched for the best and these are it! Not only are most of the original factory dash pads discontinued and hard to find in good condition used. They are also very difficult to remove and install without cracking them. You must also take the whole instrument panel apart and that can be very awkward and frustrating if you are not familiar with the exact procedure. "NOT" having to take the dashboard apart at all !!! Installation is about 30 minutes or less!!! The kit even comes with a tube of silicone adhesive for the installation, more than enough to easily secure and mount the Dash Cap. They are custom molded to fit perfectly ( Fits so good, no one will know its a Dash Cap). The material they are made from is resistant against the damaging U.V. rays from the sun that easily cracks the original factory dash pads. Dash Caps come unpainted in black (no painting required if your dash is black). Please Note: Color painted parts may not be returned for credit or exchange. 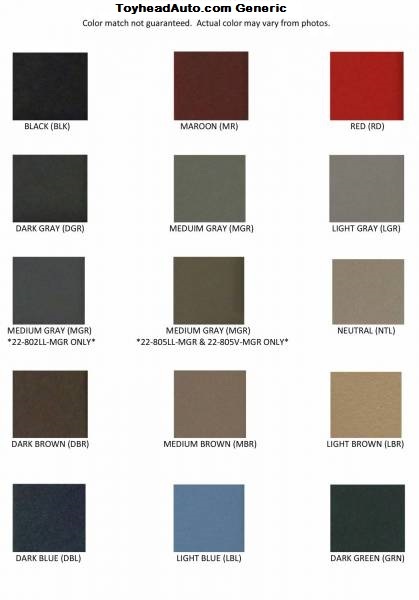 Our standard paint colors ARE NOT Toyota OEM matching colors. For a closer color match, custom color painting can be achieved through your local auto body or automotive upholstery shop. Clean the old dashboard thoroughly using a clean cloth and ammonia based window cleaner. If the old dash has cracks that have raised up, simply cut or shave down any high spots with a razor blade or utility knife so the dash cap will fit flat. (you can test fit the dash cap when doing this). Check the fit making sure all corners & edges tuck in neatly. Apply factory supplied silicone around all edges as shown in the "application Instructions". Place your DASH CAP over the old, cracked dashboard. Press firmly into place to spread the silicon adhesive evenly, then let cure for a couple of hours. We do business by email! *Shipping prices are based on shipping within the continental USA. For international and shipping quotes outside the Continental USA. We accept all major Credit Card payments through PAY PAL.com ONLY. fastest way to get items paid for instantly and shipped to you. Through Pay Pal we can receive payments in many currencies world wide. you through the easy steps to pay instantly online with a few clicks. It does not cost anything to sign up. WE SHIP WORLD WIDE !!! Available In Many Countries, Click Here For More Info. Thank you for visiting Toyhead Auto Restoration Services!